Le prix que vous avez trouvé est 24 % moins cher que le tarif moyen de 276 $US/nuit de cet hôtel. Dear Tripadvisor user, Thanks for taking the time to write us, and that you enjoyed your day at Charco! Looking forward to have you back in Colonia. On nous avait dit 'Vous allez adorer`et nous avons adoré ! Dear Tripadvisor user, Thanks for taking the time to write us, we are glad that you enjoyed Charco! Looking forward to have you back in Colonia. Dear Tripadvisor user, thanks for taking the time to write . For us it's important to know your opinion. If you have any suggestions you can write us to info@charcohotel.com Hope to have you again at Charco! Building under renovation next door to our room, and rocky shore line in rear of photo. 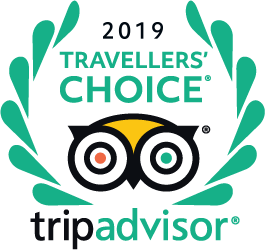 I agree that you do not need a guide, although we did do a 2-3 hour tour arranged by our South America tour company that included a drive through the newer part of Colonia and beach, and then a walking tour of the old section around the hotel. We stayed at Charco, but didn't see the map or know what history it partakes, as we had the guide pick us up. Wear good walking shoes, as the old area is all rough cobble stones, and some of the streets need repair-lots of uneven surfaces. The stone houses are remains of the Portuguese occupation, and many are now expensive vacation homes only occupied a small portion of the year. When the Spanish took over, they leveled much of the Portuguese buildings, including the ruined Church attached to the lighthouse. You can go up to the top of the lighthouse for less than $1US. There are cute shops and restaurants all around the old portion of town- selling clothing, matte items, thermos, souvenirs, etc. You should stop in the Catholic Cathedral in Colonia-truly unique. Read some Colonia history on the Net before you go to appreciate the old town more. The weather near the mouth of the river is uncertain, so take a travel umbrella with you to protect from either sun or rain. Hola quisiera saber disponibilidad para el viernes 13/04 al 15/04. Somos 3 adultos en 2 habitaciones. Gracias. Hola, quisiera saber si tienen disponibilidad de una habitación matrimonial con baño privado para el 27/2 hasta el 2/3, y el precio por noche. Desde ya, muchas gracias. El desayuno, tiene opciones para celiacos? "Essayez de réserver la chambre avec terrasse"
"demander une chambre sur le Rio de la Plata - la 3 est très bien."